In 2016, the ASPCA Adoption Center in New York City helped more than 4,200 animals find loving homes. It was an incredible accomplishment, but you may be wondering—where do all of those animals come from? While many of the dogs and cats at our Adoption Center are rescued through our Cruelty Intervention efforts and partnership with the NYPD, a large number are also transferred from Animal Care Centers of NYC (ACC), the only open-admission care center serving all five boroughs of New York City. 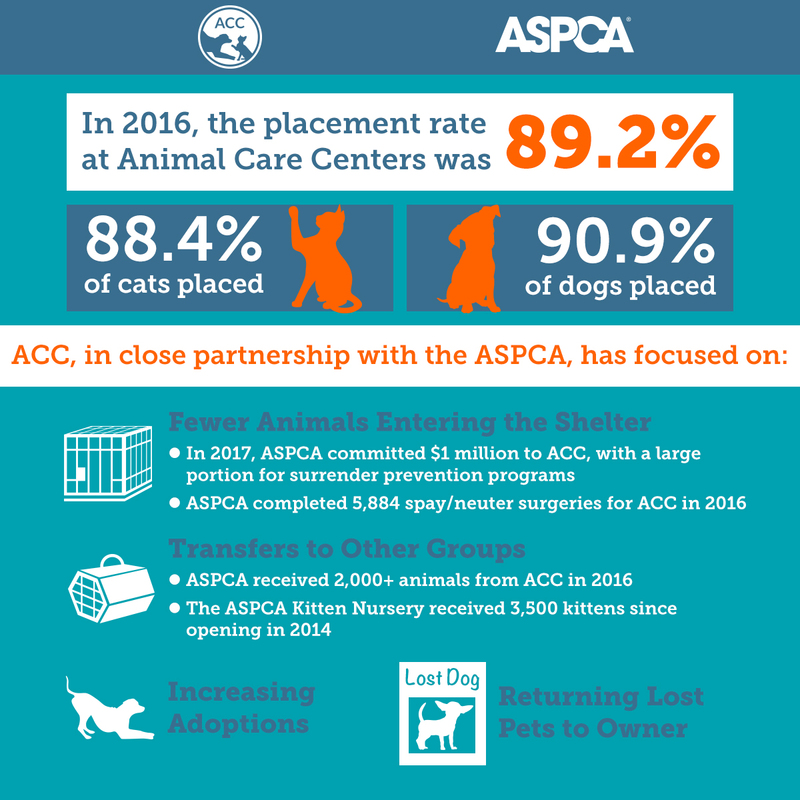 In 2016, the ASPCA received more than 2,200 animals, mostly cats, from ACC, and also completed over 5,800 spay/neuter surgeries for them—helping contribute to ACC’s all-time high year-end placement rate for dogs and cats of 89.2%. Some of those 2,200 animals may even look familiar, like Chandler, a tiny kitten who was taken to ACC after being found clinging to life on Rockaway Beach. ACC’s New Hope team helped transfer the injured baby to the ASPCA Animal Hospital for immediate medical treatment, and soon after his recovery he was placed into a safe and loving home. Left, ACC’s intake photo of Chandler. Right, Chandler in his new home. In addition to receiving animals from ACC, providing medical support, spay/neuter surgeries and other hands-on mentoring, the ASPCA has also committed $1 million to ACC in 2017, much of which will support the surrender prevention programs. These programs include admissions counseling for owners considering relinquishing their animals, and providing these owners with alternate solutions to keep their pets in their homes. By providing these critical services to pet owners in need, ACC enables more New York City families to keep their pets. From 2015 to 2016, owner surrenders to ACC decreased by 629 animals. “With help and guidance from the ASPCA, ACC is reducing the number of animals surrendered and promoting the health and welfare of animals in NYC,” said Risa Weinstock, ACC’s Executive Director. ASPCA funds for ACC will also support ongoing programs related to animal rescue and transport, medical services and other innovative programs designed to reduce intake and elevate the level of care provided to the animals in their centers. Congratulations to ACC for their record-breaking achievements. 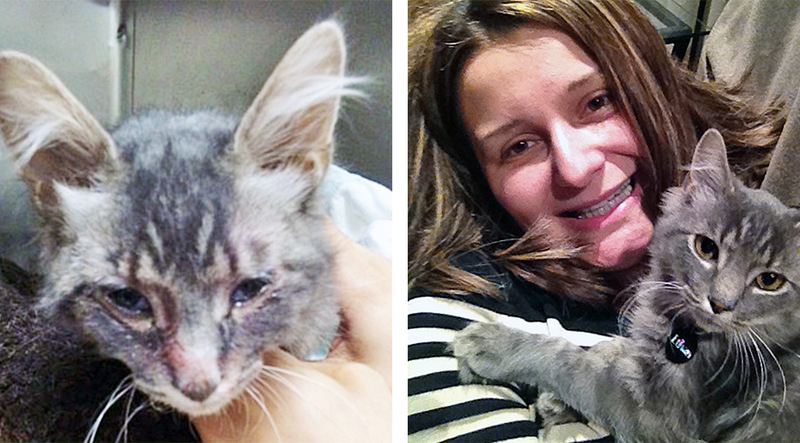 We look forward to continuing to work together to save even more lives in the year to come.